Apple is set to announce its iPhone 5 today in San Francisco. There is no doubt about this. We know practically every spec, design choice and upgrade, and there is confident speculation of a release date. This has easily been the most leaked, talked-about Apple product in history, and its existence isn’t even official. Even with a 4-inch screen, many customers are going to deride Apple’s choice not to go bigger; even with a metal backing, people are going to accuse it of attracting scratches. Even with iOS 6, pundits are going to say it looks too similar to previous versions, or that not enough has been updated to warrant a new name. 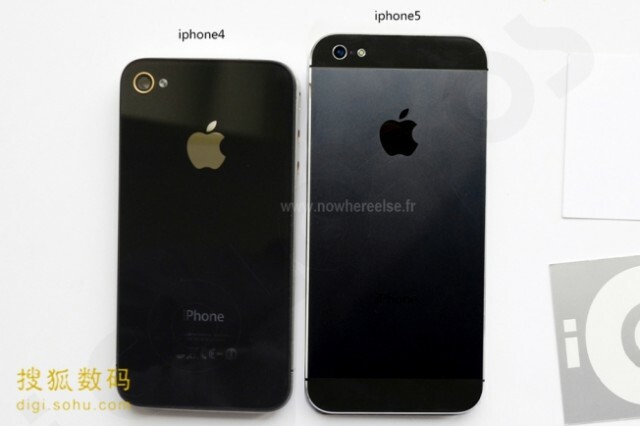 We know that the iPhone 5 will have a 4-inch 1136×640 display — elongated but no wider than the 4S. We’re expecting 1GB of RAM, 16/32/64GB storage options at the same $159/$269/$369 price point. There’s going to be a new dual-core A6 processor, presumably a 28nm part but we wouldn’t be surprised if its a 32nm Samsung-built Exynos variant. We know there’s going to be a new dock connector, lovingly rumoured to be called “Lightning,” and new earbuds called “Earpods.” A new manufacturing process will make the iPhone 5 thinner and more durable, with a metal backing instead of easily-breakable glass. We expect a new nano SIM slot to replace the current microSIM, and the headphone jack to be moved to the bottom. And, of course, it will be LTE-enabled. On the software side, we’ve been using iOS 6 for a while and it’s a nice improvement over iOS 5.1. Specifically, Siri is now useful, especially for Canadians, who have access to location services as well as a much-expanded list of commands. Turn-by-turn navigation — in fact, the entire mapping system — is fantastic, though I wouldn’t say it’s any better than Google Maps on Android. There’s Passbook, the company’s new mobile payments and card storage application, but we’ve yet to see its full potential. Other additions are minor, but add up to a smoother, more robust experience. This isn’t the makeover that Android received going from Gingerbread to Ice Cream Sandwich; it’s more akin to the changes in Jelly Bean from its predecessor. Personally, I’m excited for the iPhone 5. But I get excited for every phone, that’s my flaw. There’s no denying that Apple has in many ways forced its competitors to innovate, and that irrespective of any lawsuits pertaining to patents or trade dress the industry is better off for the iPhone’s existence. There’s no telling what tricks Apple has up its sleeve today — there’s always a One More Thing or two — but the iPhone 5 is going to be huge regardless of what is announced. In an ideal world, what would you like to see today? If you’re not yet an Apple fan, what phone could they put out to convert you? If you’re a current iPhone user, what’s it going to take for you to upgrade? Stay tuned today for all the Apple-related coverage. The press conference starts at 1PM EST and we’ll be covering it live!